Came to Westhoughton in 1878 to take up the position of Headmaster at Fourgates School, later moved to Chequerbent Mission School. He was also choirmaster at the church. Magistrate from 1919 until 1941 when his health began to fail. 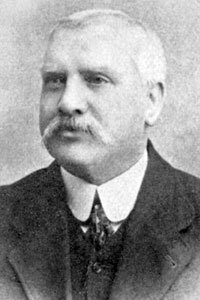 His son, Thomas Victor Sinkinson, became Headmaster of a school in Shrewsbury while his daughter, Florence Mary Sinkinson, became Headmistress of Westhoughton Senior Girls School.